Traveling with pets internationally, or relocating to a foreign country with your pet requires considerable planning. You must account for all the logistics associated with animals and international borders, including quarantine requirements and other importation regulations that differ from country to country. 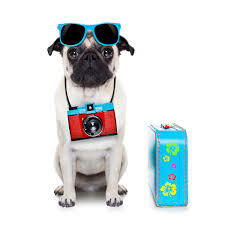 If you are traveling internationally with your pet, it is important to begin planning well ahead of your intended time of travel. Far East Animal Care Center offers assistance with international health certificates, including but not limited to examination(s), vaccination(s), microchip implantation and/or verification, pre-departure treatments and the appropriate health certificate(s) needed to travel internationally with your pet. Our licensed and accredited veterinarian will help you prepare for all the mandatory requirements for the country (or countries) to which you intend to travel and provide you with the best considerations for the transportation of your pet. Contact Far East Animal Care Center for more information about our assistance with International Health Certificates for your pet.